Medical botany is easy to take advantage of and look into in North America, even without counting on exported extracts and herbs. There is well-documented indigenous or otherwise abundant vegetation here that can well-equip budding herbalists and the sleep-deprived alike. Below is a short list of plants commonly used to soothe, relax and induce sleep; in tea blends, supplements or other means of ingestion. As with traditional sleep aids, don’t mix with alcohol and don’t operate machinery after taking these natural alternatives. Like Catnip and Motherwort below, American Skullcap is part of the mint family, though unlike the former two it is an indigenous, hardy, but not weedy North American plant. Worth noting that another medicinal species of the same genus, the Chinese Skullcap (Scutellaria baicalensis), is also popular for its medicinal properties; although they should never be confused or interchanged, as specific uses of the two kinds of Skullcap can vary greatly. 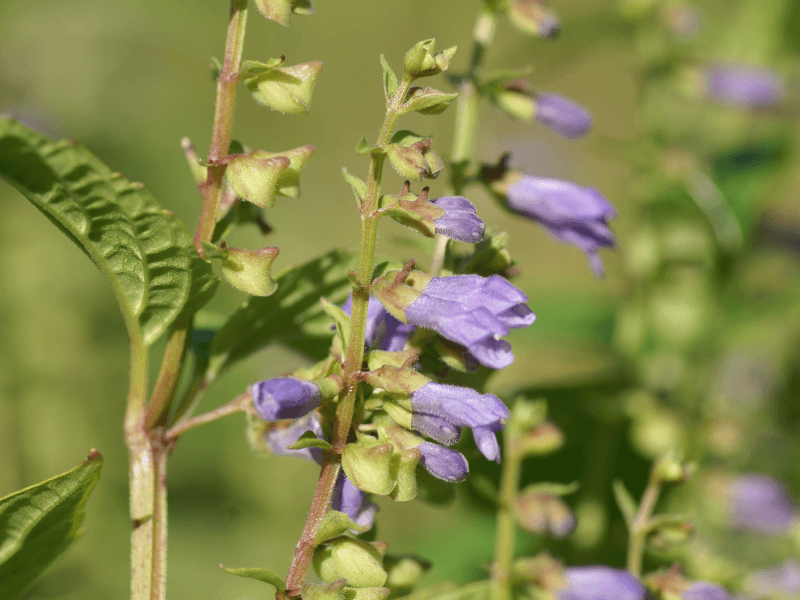 American Skullcap has been studied extensively as a centuries-old putative anxiolytic—that is, a well-known anxiety reducer—as well as an anticonvulsant and antioxidant. Due to its effectiveness in anxiety management and its mild sedative nature, it’s also been long used as a sleep aid, though more often than not it is mixed with other soothing herbs for this purpose. Although the use of medical botany by the pregnant and breastfeeding is usually suspect without the supervision of a doctor, American Skullcap in particular is not advisable as it is commonly used to induce menstruation and may therefore induce a miscarriage. On its own, it is available as a powder—loose -or tincture, or more uncommonly in dried herb form. Make sure to obtain American Skullcap from a reliable source, as in the past it has been contaminated with Germander (Teucrium), a plant genus that can cause liver problems when ingested. Other than in its extract forms, it’s usually consumed as tea—although the taste is bitter, you can sweeten it with honey—or smoked like the other native North American plants described below: California Poppy and Passionflower. Popular pairings with American Skullcap are more often than not multiple-ingredient blends; a glaring exception being American Skullcap and Valerian Root. Otherwise, most tea and capsule blends containing American Skullcap also contain combinations of the following: California Poppy, Chamomile, Lavender, Lemon Balm, Linden, Motherwort, Passionflower, Valerian Root and more—even non-sleep aids like Licorice Root (Glycyrrhiza glabra) or Indian Tobacco (Lobelia inflata). American skullcap is also an ingredient in some formulated dietary supplements, like Gaia Herbs Sound Sleep. A North American native, this official state flower of California—like other similarly indigenous vegetation—has long been used by Native Americans for many purposes: medicinal, cosmetic, and culinary. The leaves, in particular, are what’s often used to treat ailments. Though commonly used for pain management—headaches, toothaches, sores and the like—it is has also been known to ease anxiety and restlessness, as these studies show. It’s a known antispasmodic and diuretic, as well. On its own it’s best taken as a dosage of tincture, tea or infusion. Some people also take it in capsule form or simply smoke it. As relative of the Opium Poppy, this bitter herb has sedative properties strong enough to promote both relaxation and sleep, but mild enough to not encourage dependency; this is due to a difference in the alkaloids the two plants contain. It’s even safe for children to use. Popular pairings with California Poppy include Kava Kava, St. John’s Wort, Valerian Root and fellow North American native Passionflower; although most of these combinations are hard to find in any form other than tinctures and capsules. 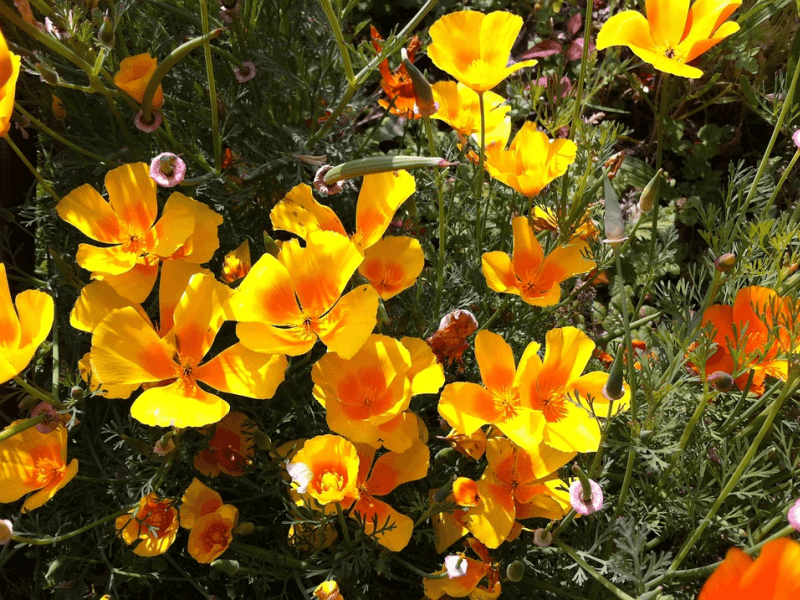 Like American Skullcap, California Poppy is also an ingredient of Gaia Herbs Sound Sleep. Though not a North American native, Catnip is abundant all over the US, to an almost invasive degree. It is sometimes considered a weed; but due to its myriad uses and pretty, fragrant flowers, it is often cultivated in gardens. Better known as a feline attractant—it’s commonly used as a recreational substance for pet cats—it’s nevertheless also a natural insect repellant and a culinary ingredient. 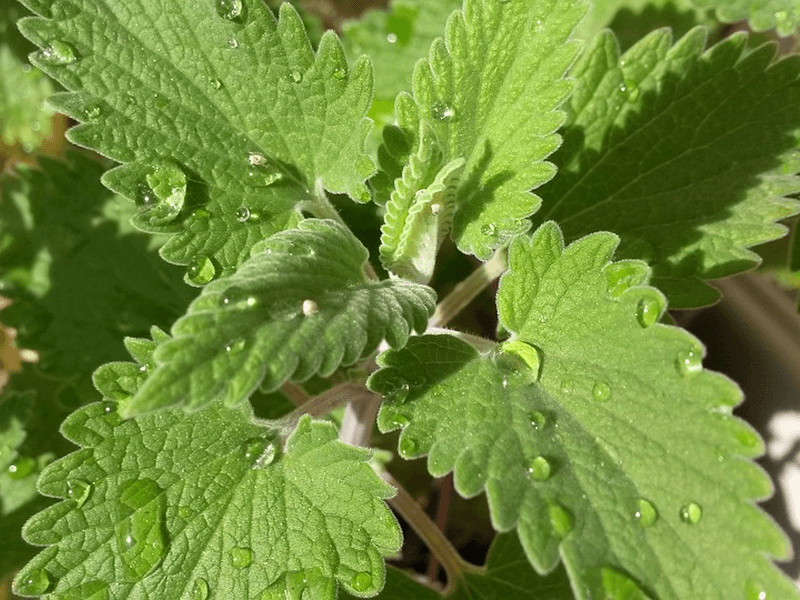 Catnip is an antitussive and antispasmodic, too; combined with its capacity to promote perspiration, these qualities point to a long history of the plant being used as a household remedy for colds, cough, fever and flu. Though there are not many studies officially linking catnip to increased sleep duration or better sleep quality, it is commonly known that Catnip is a mild sedative and that it aids in digestion and even menstrual pain. On its own it’s best taken as a tincture, or consumed as a cup of tea or infusion. The lack of focus on Catnip as a sleep aid is likely due to its non-medicinal-use popularity, and the fact that there are more potent herbs currently in vogue. It is relatively easy to find catnip products marketed for pets; though a discerning eye will easily find it in pure herb or extract form for human medicinal use. Popular pairings with Catnip include Elderflower, Fennel, Chamomile and Peppermint. Catnip and Elderflower tea can be used as a fever reducer; while Catnip and Fennel is a popular combination tincture used to treat infant colic. Chamomile and Peppermint blend well with Catnip when taken as tea or infusion due to their mild complementary flavors and soothing properties. Like Catnip, Motherwort is of the mint family and a native of Europe, but is very much a successful North American transplant; growing in the wild and often even thought of as weedy or invasive. 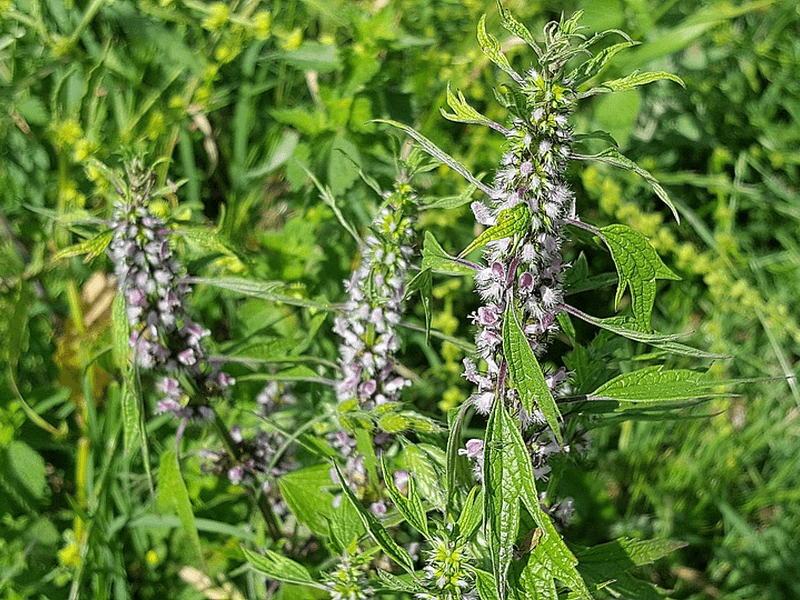 It should be noted that Motherwort is related but different from Chinese or Siberian Motherwort (Leonurus heterophyllus), which is likewise medicinal but less abundant in the US. As a typical plant in the herbalist’s arsenal, many studies have been undertaken to document Motherwort’s analgesic, anti-inflammatory, antibacterial, antioxidant properties. It’s also traditionally been used to treat heart conditions—as it’s been thought to improve cardiac functions—as well as menstrual and asthmatic ailments. Motherwort has also been looked at specifically as a treatment for sleep disorders that occur in conjunction with hypertension and anxiety. As a sedative, it also has calming and soothing properties that may help with insomnia; though its use as a sleep aid may largely rest on its many intersecting medicinal uses. On its own, it is available in capsule, powder, tincture and loose herb form; and because it’s naturally bitter, when taken as tea or infusion, adding honey may help with the taste. Popular pairings with Motherwort include Bugleweed, Cinnamon, Fennel, Hawthorn, Lemon Balm, Passionflower, Skullcap, and more. While most blends are typically for calming nerves and aiding in relaxation, some are more specific: Bugleweed and Motherwort are commonly combined for thyroid support, Fennel and Motherwort can be used for gastrointestinal relief, and Hawthorn and Motherwort are both great for cardiovascular health. This beautiful North American species of Passionflower is one of the hardiest of its kind, and grows easily in the wild. 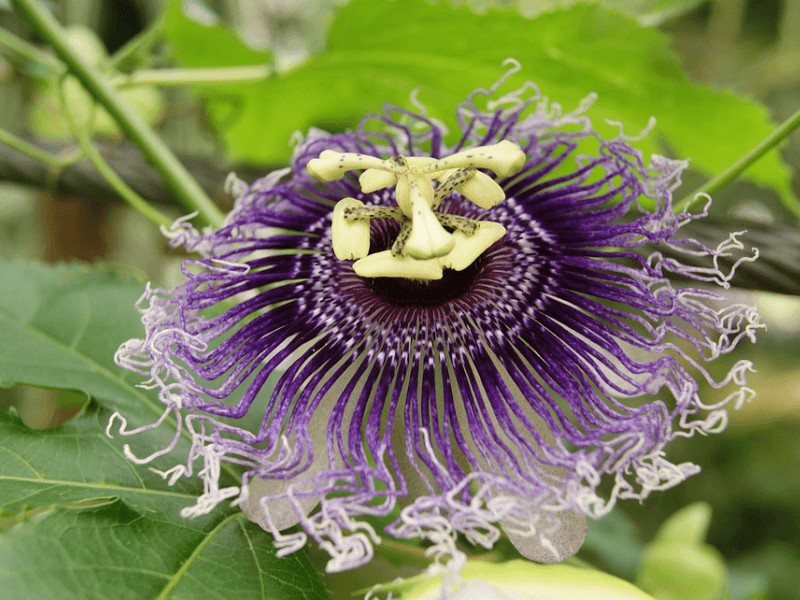 Backing its use in medical botany are many studies that show varying levels of efficacy when it comes to Passionflower as a remedy for nervous restlessness, difficulty in falling and staying asleep, and more. In North America it’s been used as a near cure-all; from non-drowsiness-causing sleep aid and non-addictive sedative, to anti-inflammatory and antispasmodic, and even as a blanket remedy for menstrual complaints like dysmenorrhea, emotional tension and fluid retention. Other regions’ traditional uses for Passionflower differ slightly. Just a few examples: In India it’s also been used to treat opiate dependence, in Iraq it’s a sedative as well as a narcotic, in Brazil it’s also an anti-asthmatic treatment and wormicide, and in Turkey it can be used to treat neuralgia. It’s also used as a mild hypnotic, an antidepressant, a vasodilator, and for both pain and anxiety management. On its own, Passionflower can be smoked, or ingested in capsule, tincture, tea or infusion form; though the latter two are the easiest, in part due to the plant’s abundance in the wild and pleasantly mild and grassy aroma and taste. Popular pairings with Passionflower include Green Tea, St. John’s Wort and Valerian; as well as fellow North American natives California Poppy and Skullcap. Worth noting that Passionflower is usually blended with more than one plant; in these combinations, Passionflower and Valerian Root usually form the base. The duo is often mixed with one or more of these: Chamomile, Hops, Kava Kava or any of the previously noted pairings. Passionflower and St. John’s Wort have also been studied and found to have an increased antidepressive effect combined, as compared to when used separately. Passionflower is also an ingredient in some formulated dietary supplements; like Source Naturals NightRest, Vitafusion Melatonin, and 88Herbs Sleep-X.